Parenting can be hard especially when you have kids. When you were still a couple, you only had to think about you and your significant other’s welfare. Sometimes, it’s even okay if the two of you skip meals because, as adults, you can survive missing lunch or dinner every once in a while. However, it all drastically changes when you have kids. Now, you need to put the baby’s needs first. You must plan for their future particularly the rising costs of education today. 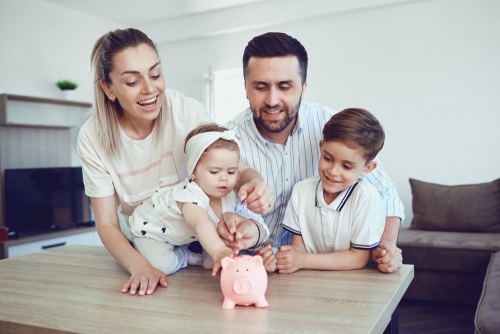 That’s why it’s crucial that you learn how to protect your family’s finances right now so that you make it easier for yourself in the future. While nobody wants accidents to happen to them, no one really knows when mishaps and injuries will occur. It’s best to be prepared and get yourself insured. A coverage you must secure for yourself is to continue having a source of income even when you get disabled or ill, which renders you unable to work. This way, your family can still have food to eat especially when you’re the breadwinner. If you have questions about disability insurance, it’s best to speak with a representative who can explain the benefits of this type of long-term security for you and your family. Generally, this insurance pays you a percentage of your monthly income before you got disabled. This way, you can concentrate on recovery after the accident and not worry about where you’ll get money for your monthly expenses. Acquiring insurance is a different thing from your emergency fund. This savings is for the times when you or your kids get sick when you need to pay hefty doctor’s fees and medicine. It can also be used for unexpected car repairs and other incidents that aren’t that catastrophic but can put a dent on your monthly budget. Track Your Expenses – Take note of fixed expenditures such as mortgage, car payments, insurance premiums, groceries, gas, water bills and other costs to gauge how much money you spend every month. Then, deduct the sum from your monthly salary and see the amount you have. With this, you can assess how much you can set aside for your different types of savings. Set a Goal – Some financial advisors recommend setting aside at least six months’ worth of salary for the rainy days. However, you may need to save a more substantial amount if you have a big family. 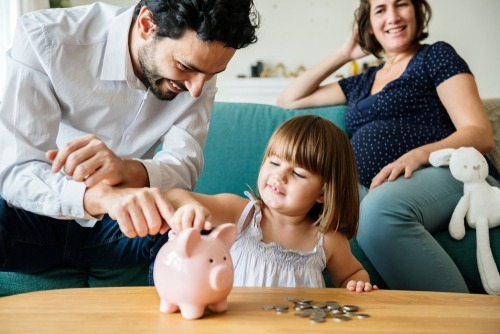 Start Small – You must develop the habit of getting a portion of your salary for your emergency fund so that it doesn’t seem too overwhelming at first. This way, you can keep the momentum going and master the art of saving. Treat It as an Expense – To make sure that you aren’t tempted to spend your emergency fund on non-emergencies, think of it as an addition to your monthly expenses so that you don’t dwell on the fact that you have an extra stash somewhere. Slowly paying off your debts right now can have a radical effect on your family’s financial future. You should start eliminating your debts and loans so that you can focus on saving money for the next few years. It may seem impossible to erase your dues since there are new expenses every month, but providing payment for your balance can make sure that a mountain of debt doesn’t burden you. You shouldn’t expend all your efforts and resources in one area because there’s a higher risk of losing everything once that particular plan fails. With your finances, you shouldn’t rely on just one stream of income. You should try to have at least two or three other sources just in case. This way, when your main occupation falls, like when you lose your job, you can still survive for a few weeks while you look for another one. There are plenty of ways to earn extra money such as doing freelancing work, selling your old stuff, and investing in stocks or cryptocurrency. Protecting your family’s finances doesn’t need to be a great endeavor. The little lifestyle changes you start making now like living simpler and saving money can create lasting impacts on the next few years. You may need to tighten your belts today, but it’ll be worth it once you know that you’re all set for the future.